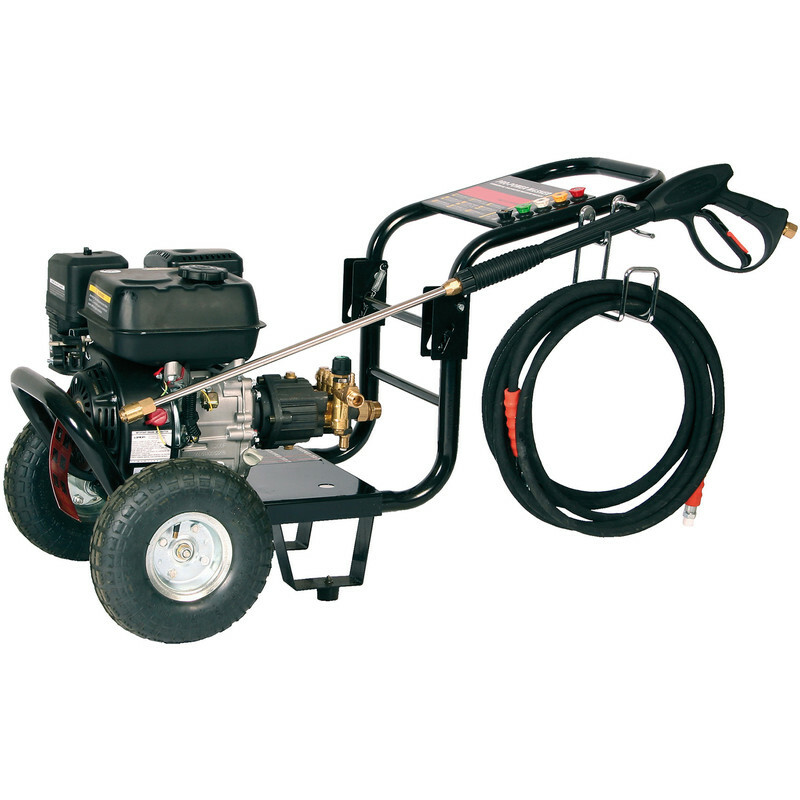 The SIP Tempest Petrol Pressure Washer has a 6.5hp petrol engine and has a maximum of 2540psi. Max Output 650L/hr and is fitted with a 3.6L fuel tank. Weighs 47KG and comes with heavy duty pneumatic wheels and 5 interchangeable nozzles. This machine is designed for ease of storage and displays a compact design with folding space saving frame.